In an interview with Focus Knack Mauro Pawlowski announces he has decided to quit dEUS. According to Mauro that decision was not made at once. ‘The guys had to convince me to stay on board a couple of times in the past. But the last couple of your years i was wondering more and more if dEUS was still something for me.’ Mauro says he doesn’t want to focus only on the popcircuit in the future. Tom also reacts in Focus Knack and says the departure of Mauro is probably a good opportunity to do something unexpected. Auditions for a new guitar player will not be held until the beginning of 2017 and it might be possible they don’t replace Mauro at all. Meanwhile Tom, Klaas, Alan and Stephane are working on new material. Tom would like to have some dEUS-stuff on the soundtrack of his second movie too. 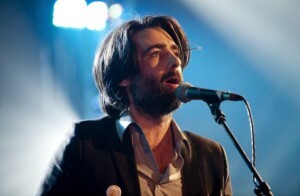 dEUS will play at least one goodbye-gig with Mauro, on February 10th in the Lotto Arena, Antwerp. Mauro joined dEUS 12 ago in 2004, a couple of weeks after the departure of Craig Ward. He played more than 400 gigs with the band and worked on 4 albums: Pocket Revolution (2005), Vantage Point (2008), Keep You Close (2011) and Following Sea (2012). Read the complete interview in Dutch here and Tom’s reaction here.